A senior strategist from Audi says that driverless cars could potentially cause issues with the airline and hotel industries in the next few years. Essentially, the advent of self-driving cars will lower the need, if not completely eliminate the need, for short-haul, domestic flights as well as the hassle that travellers go through at the airport. Of course, the loss of flights would mean more crowded roads, which would come with its own set of problems and (perhaps) drive individuals back into the air. Then, of course, the other consideration is the time. No matter how smooth the drive may be, many would probably prefer a 4 hour flight from New York to Florida over a 24 hour drive. So the claims about flights are a little harder to stomach. That said, it does seem like there would no longer be a real need for the “one night stay” motels. Or at least, there would be a significantly decreased need for said hotels. 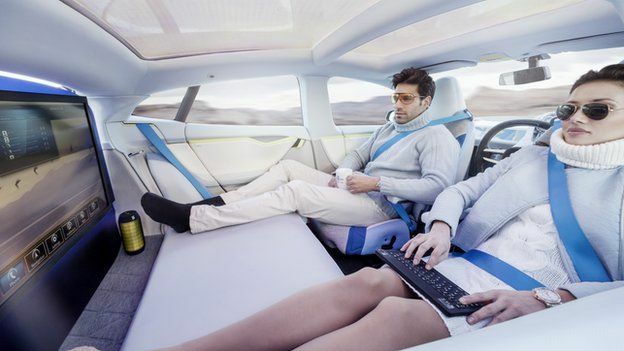 Ultimately, Schuwirth asserts that the technology proves to be most useful for business travellers, who travel frequently and will no longer need to check into business hotels, given that autonomous cars will now allow them to sleep and work en route to their destination. “I think that vision is probably 20 years from now,” he adds. That said, the potential future of road travel, and its implications for peripheral industries, are likewise enormous. Instead of traditional automobile design, car interiors will instead look like mobile apartments, with typical service stations changing to support additional facilities. It could also pave the way for shape-shifting car technology, which would allow for maximum comfort depending on whether a user will go for an autonomous or a piloted drive. Audi isn’t the only one exploring the possibilities of cars that change in geometry and functionality depending on need, with supercar brand McLaren having already spoken about it in the beginning of the year.